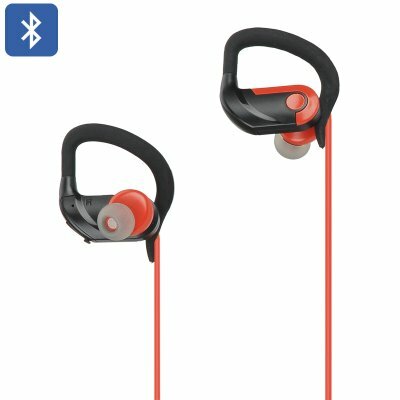 Successfully Added Sports Bluetooth Earphones - 2 Speakers, Intelligent Answer, Up To 40 Hours, Duo-Mode Bluetooth, A2DP, AVRCP, HSP, HFP to your Shopping Cart. A built-in 130mAh battery brings up to 8 hours of talk time or as much as 40 hours of music play time and can be recharged in about 1 hour. These wireless Bluetooth earphones come with a 12 months warranty, brought to you by the leader in electronic devices as well as wholesale phone accessories and music gadgets..